We offer a full line of different types, styles, and prices in every price range of chimney cover Atlanta. However there is a little more to this topic that we’ll discuss here. 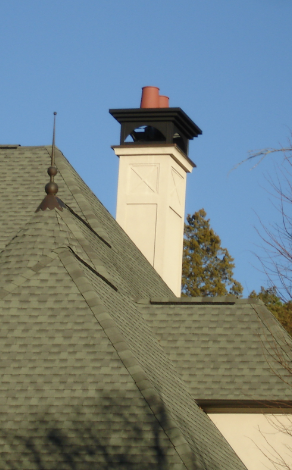 Chimney covers, or chimney caps, cover all or part of your chimney on top. Animals, leaves, rain, and snow can all come down your chimney if you don’t have a cover, with SCREEN. A chimney with only a top lid over it will keep rain out, but animals can still get under it and come down the chimney if there is no screen built in. So we recommend that all caps have a screen put in, at least when it comes to Atlanta chimneys. There are lots of squirrels around here and they love to climb. (Metal chimneys, or fireplace inserts, are a whole different animal. More on that later.) You have the crown of the chimney, which is the flat part that faces the sky. Then you have the flue pipe opening which is where the smoke comes out. If you cover only the opening, you leave the crown exposed to the elements. And I’ve got news for you Atlanta, chimneys always lose in the battle of the elements. Eventually the Sun, rain, wind, and freezing temperatures will eat away and destroy that chimney crown. The only way to stop it is a chimney cover Atlanta. Now, you can keep on repairing the crown, and that’s one way to keep the chimney healthy. However, even that won’t work eventually. The absolute best thing for a chimney is a full sized chimney cover Atlanta. A full sized chimney cover acts just like the roof of your house. Look at the bricks on the side of a house, and they will be in really good condition. Same with your chimney. If you keep the sun, rain, snow, and wind from even touching the top of the chimney or crown, it will stay nearly pristine. Like the day it was built. It costs money up front, but pays off much more in the end. Repair bills are almost always much higher than the cost of a chimney cover. It’s also a huge mess and hassle to have repairs done on your roof. 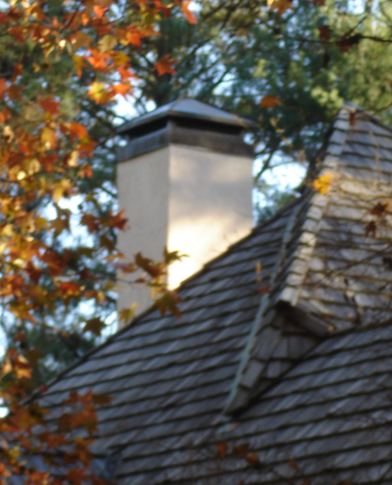 If money is short, at least consider a chimney cap that covers the flue pipe opening so you can keep out the leaves, water, and animals from the house. Chimney Dampers that are installed at the top of the chimney can also act as a chimney cap, but only over the flue opening. If your damper is broken, or your chimney never had a damper, then a chimney top damper is a great alternative. It keeps out two birds with one stone, sealing the flue from the top so no heat escapes, and no uninvited guest come in. Remember, your house is your biggest investment. It is worth spending a few dollars to maintain the value. Almost any maintenance of this type will increase the value of your home. That’s why we highly recommend a chimney cover Atlanta. Just imagine a day when a squirrel or raccoon gets into your home through the chimney and an open damper. You will spend half a day or more trying to get him out. You may spend several hundred dollars on a critter removal company to help you. Right there, you’ve already spent what you would have on a chimney cover Atlanta, and still had to go through all that hassle to boot. Atlanta Chimney Sweep Pro can set you up with any type of chimney cover you need or can dream up so call us today at 770-993-6683.